It is reported that Chongqing Iron & Steel Co Ltd Medium Plate Plant production operation achieved great leap forward development with hot rolled products volume, shearing capacity, inventory quantity and outbound quantity respectively reached historical highest level of 2.224 million tonnes, 2.234 million tonnes, 2.247 million tonnes and 2.295 million tonnes. 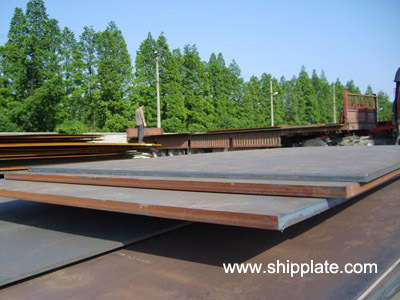 In 2010, along with the requirements of top three high quality ship plate the plant made great efforts to overcome any difficulties and finally achieved 6000 contracts per month on average on the medium plate production line. Besides, it raised operation system on wide and heavy plate to be around 90% in December 12 to 31 and became domestic first production line to reach 1 million tonnes production capacity in its first year of operation. Mysteel said that, Chongqing Steel Medium Plate Plant two lines achieved HR volume of 0.201 million tonnes and outbound volume of 0.239 million tonnes in December 2010 of which high-quality ship plate reached 0.164 million tonnes. The medium plate production line achieved HR quantity and outbound quantity of 99,000 tonnes and 115,000 tonnes respectively. In the middle and end of December the wide and heavy plate production line maintained daily output of 4000 tonnes in the high level and reached HR quantity and outbound quantity of 0.102 million tonnes and 0.124 million tonnes respectively.